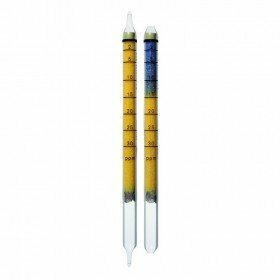 A wide range of substances can be detected with these Ammonia (0.25/a) short-term gas detection tubes from Drager Safety. Substances may include the following: Aminobutane, Aminoethanol , Ammonia, Azirdine, Bis (dimethylaminoethyl) Ether, n-Butylethylamine , Cyclohexylamine, 1,2-Diaminoethane, Diaminotoluene, Dibenzylamine, 2-Diethylaminoethanol, Diethylenetriamine, Diisopropanolamine, Diisopropylamine, Dimethylamine, N,N'-Dimethylbenzylamine, Dimethylethylamine, 1,1-Dimethylhydrazine, N,N'-Dimethylpiperrazine, Dipropylamine, Ethanolamine , Ethylene Diamine, Ethyleneimine, 2-Ethylhexylamine, Ethyl Morpholine, Fufurylamine, Hexamethylene Diamine, Hydrazine, Methoxypropylamine, 2-Methylaminoethanol, N-Methyldiethanolamine, n-Methylmorpholine, Morpholine, Phenylhydrazine, Triethylenediamine and Triethylenetetriamine, Trimethylamine. Please note these tubes come in a pack of 10 and have a shelf life of 2 years. 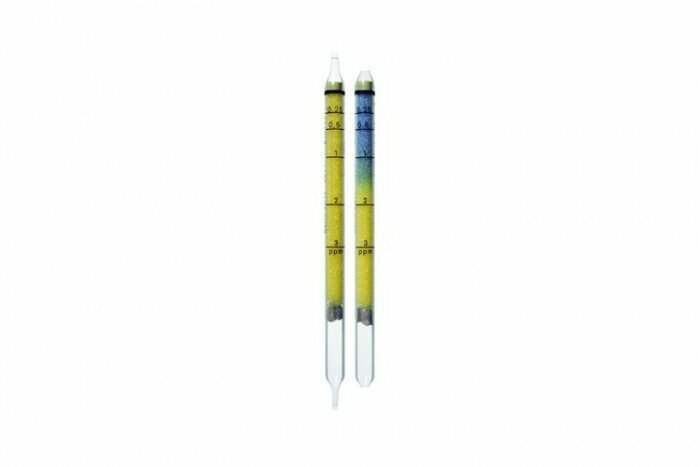 Using acetic acid or sodium hydroxide solution, the pH-value has to be adjusted to the value of 10.2 - 10.3. Other basic substances are also indicated.